Charlie Brown and Snoopy, together again. 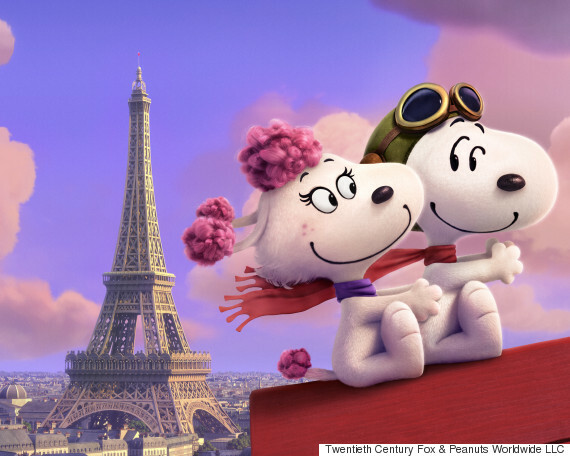 Of all the Charlie Brown movies in the world, this one is the Charlie Browniest. Far too often, modern incarnations of beloved childhood cartoons rob the source material of its original charm (if it actually had any, which is not always the case in this age where we view every last 1980's property through the veil of rose colored nostalgia) by adding a hip feel or a sarcastic edge. Neither of those things has any place in the world of Charles Schulz, which is so innocent and square it makes Happy Days look like a Todd Solondz creation (Todd Solondz is ... never mind). 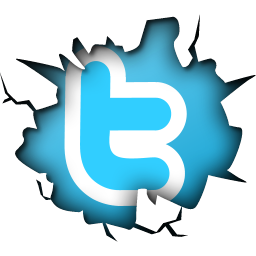 The cartoons and comic strips are beloved to millions, but not because they were cool, or even uproariously funny. There is an unmistakable charm, and a relatability to the characters that makes them an indelible part of childhood for many of us. 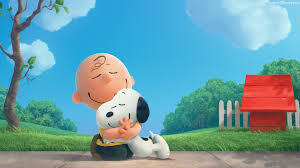 Fortunately, Schulz' family was heavily involved in The Peanuts Movie, and the result is a film which captures and is true to the tone and spirit of the material. The only concession to modernization is the soundtrack, which includes the sort of songs you'd expect to hear from Disney Channel stars, but they are never more than mildly distracting and actually fit the film better than you might expect. Plus, there's plenty of Schroeder's piano to balance them out. The story deals with our protagonist, the hapless Charlie Brown (nicely voiced by Noah Schnapp, who played Tom Hanks' son in Bridge of Spies), experiencing one of the defining moments of his life: the legendary Little Red- Haired Girl (Francesca Capaldi) has just moved in across the street and started going to his school. Charlie Brown (why does no one ever just call him Charlie?) is instantly smitten, but he's afraid to even speak to her for fear that he's too much of a loser and a nobody. After receiving typically dubious psychiatric advice from Lucy Van Pelt (Hadley Bell Miller), he decides to prove himself worthy by impressing her with a major accomplishment, but this is easier said than done. Meanwhile, his dog Snoopy (voiced by archival recordings from animator/original Snoopy Bill Melendez) has started fantasizing about being a World War I Flying Ace who fights infamous Red Baron and romances a poodle named Fifi (Broadway legend and would-be Helium spokeswoman Kristin Chenoweth, who has quite frankly, in our opinions, never really been successfully utilized in a major film before, whether due to bad casting choices, direction or writing, but a perfect and hilarious choice to provide a high pitched, feminine "drop kick dog" counterpart to Snoopy's vocalizations.). The story doesn't amount to much more than this, but Peanuts was never about intricately plotted stories. And all of the classic elements are here: the Kite Eating Tree, Linus' blanket, Lucy and the football, etc. In fact, it's all so true to these classic elements that it may feel to some like they're just repeating old material, and that's a fair observation. But for those of us who grew up on it, there's a delightful nostalgia to the proceedings, and it should easily be entertaining enough for younger viewers who are less familiar with Charlie Brown and company. And there's a good message about learning to like yourself for who you are. It's also an excellent choice not over-plot the film or add an unnecessary and out of place villain. It is what it always was, and that's what it should be. The choice to take 2D animation and convert it to 3D CGI with characters who maintain the look of 2D, then present it in Real D 3D, is an odd one, but it works. 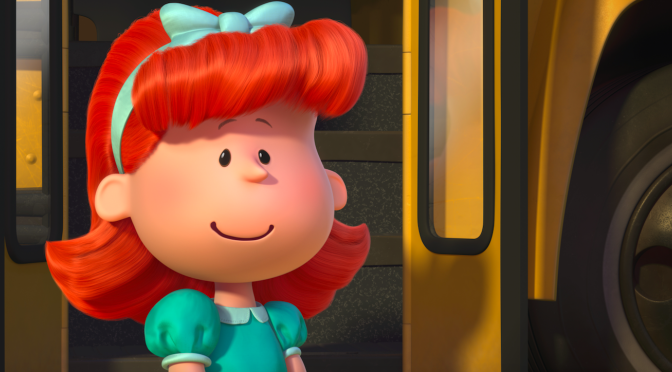 The characters are exactly their old selves, and the 3D gives the sensation of being inside Charlie Brown's world, something most of us probably wished we could do (the film would also certainly play well in 2D presentations). All in all, The Peanuts Movie is an overwhelming success that's about as close to perfect as a Peanuts movie could hope to be. Our childhood memories not only remain intact, they've been enhanced by this welcome chance to revisit them. 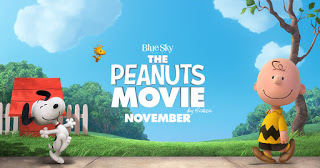 Adults will absolutely find The Peanuts Movie delightful and charming, but the comedy and messages will still ring true for kids.